The beauty world is not only filled with amazing makeup products but also amazing skincare. I am a major lover of skincare products and innovations! I have recently taken a big interest in looking after my skin and ensuring it is healthy, soft and hydrated and I have tested lots of different creams, facial peels, face masks and serums to see what really makes a difference. When I discovered there was also a “hoover” for the skin I had to try it too! I ordered the Blackhead Suction Remover from Ebay after researching the product across the web. There are a few different versions of this Remover but I opted for this one because it came with 4 different suction nozzles and it can be recharged via USB making it more portable (pictured above). The Elliptical Nozzle: This is designed to reduce wrinkles and fine lines around the face. When using it, you are supposed to work repeatedly over the relevant area and over time it will help to improve blood circulation in the skin and increase the skin’s elasticity, thereby reducing lines and wrinkles! The Microcrystalline Nozzle: This works very much like a microdermabrasion needle would, exfoliating the skin and removing dead skin cells. It is not quite as abrasive as microdermabrasion but does leave the skin feeling smoother and softer after use. As with normal exfoliation, it is not recommended more than 2 times a week. The Small Round Nozzle: This nozzle is suited to smaller areas on the face or harder to reach areas such as round the nose. 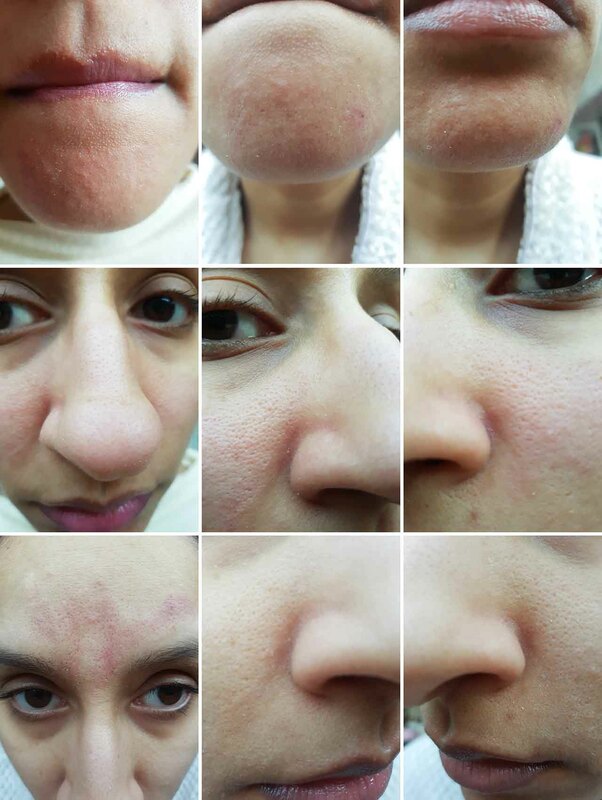 It is designed to remove blackheads and whiteheads and generally clean the pores. The Big Round Nozzle: This is the largest nozzle and is designed for using on the larger parts of the face such as the forehead. The suction power using this nozzle is very strong so it is not advisable to hold the nozzle in one place for too long – it should be used across the skin in up and down motions and will remove blackheads, whiteheads and even small pimples under the skin. The actual body of the Remover is reasonably light and easy to use and it comes with 3 levels of power to increase the suction strength. I tested all three levels and there is a noticeable difference in the suction power when switching between them. 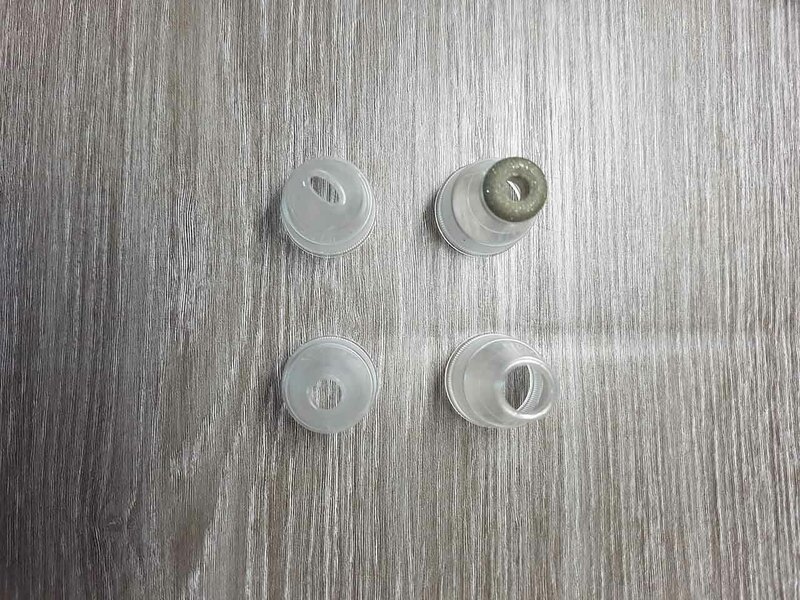 The nozzles are easy to attach and remove by twisting them on and off. As you can see, after use the skin would become red and look almost bruised in places, however this did not last long and left no negative lasting effects. This happened particularly with the Big Round Nozzle when on the highest power level. When using it, there was no pain or discomfort and it was actually fascinating seeing the pores being cleaned in front of your eyes! 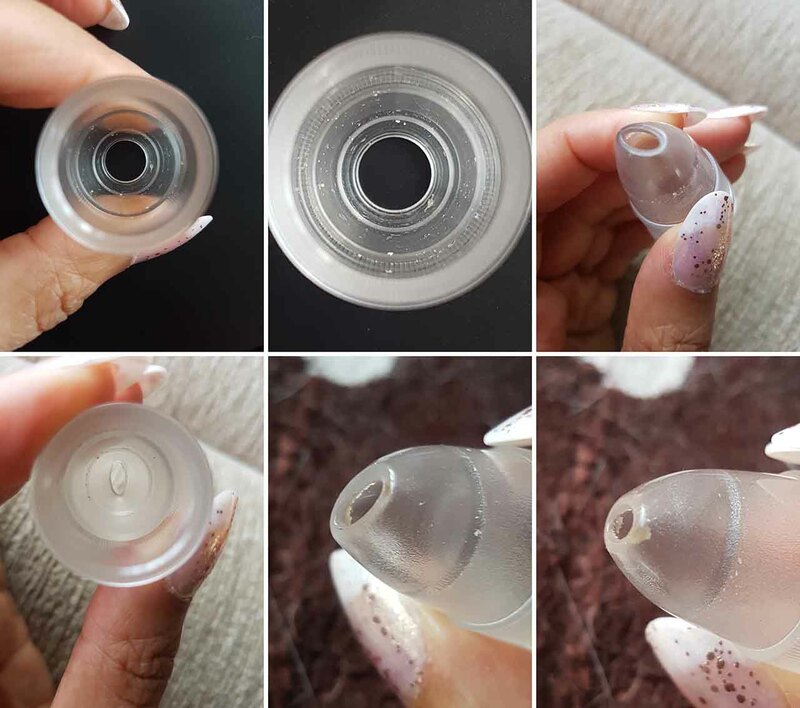 If you have watched other videos of these Blackhead Suction Removers, you will know that they are pretty graphic and in some cases show some pretty clogged pores being “sucked” clean! I must emphasise I did not see my pores being quite so dramatically cleaned as on other videos, but I did see the Remover working its magic on some of my more congested areas! I am quite fortunate that as much as I have reasonably large pores they aren’t excessively clogged so the Remover did not have too hard a job to perform on my skin but I would love to test it on someone whose skin needs a really deep clean to see how effective it is! I was pretty impressed with the end result and reassured that the Remover was actually doing its job, given some negative reviews I had read from other people. The best nozzles I found for clearing the pores were actually the Big Round and Elliptical Nozzles, although the Small Round Nozzle also performed well. 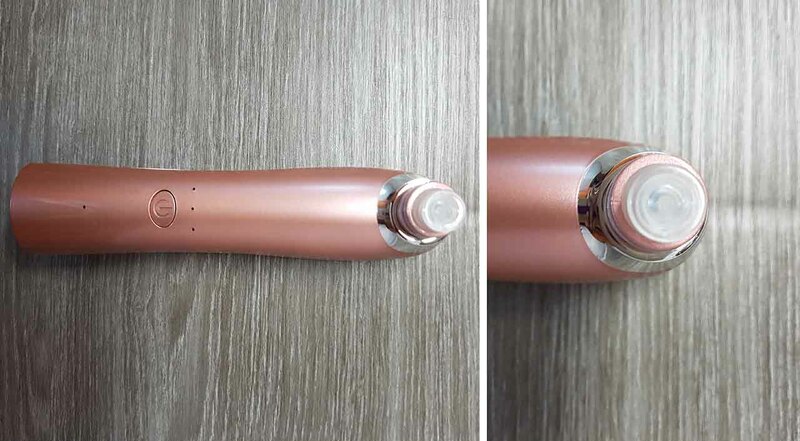 The Microcrystalline Nozzle did not remove anything in the same way as the other nozzles but it did exfoliate the skin gently leaving it feeling smoother. Overall, I have to say I found this Blackhead Suction Remover did exactly what it said it would! Having used it a number of times I have noticed that my skin is clearer and less textured, I don’t have as many blackheads forming and I also think it is having a positive effect on any fine lines I had! It is easy to use, easy to clean, easy to store and this particular model comes in white as well as rose gold and is very reasonably priced at just under £16, compared to some models I researched. There are some guidelines to be aware of such as only using the Microcrystalline nozzle twice a week, not holding any nozzle in one place on the face for too long and not using on scars or if you have an actual skin disease, but generally it can be used by anyone and should have the same positive effects it has had on my skin! I hope this review was useful and if you were looking for something different to clean your skin I would definitely suggest trying this product and this specific model! So far it has been well worth the money!